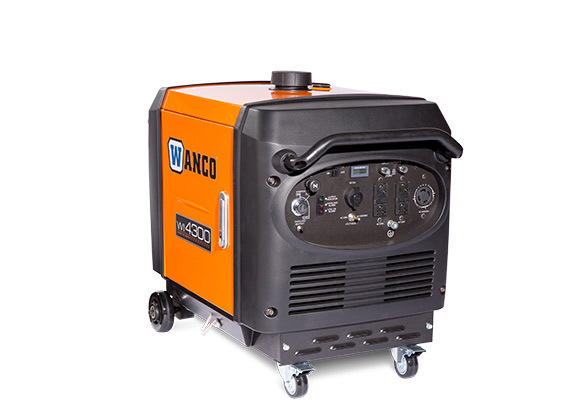 Inverter Generators - Wanco Inc.
Wanco Inverter Generators provide completely clean power for sensitive electronics such as computers, mobile phones and smart household devices. 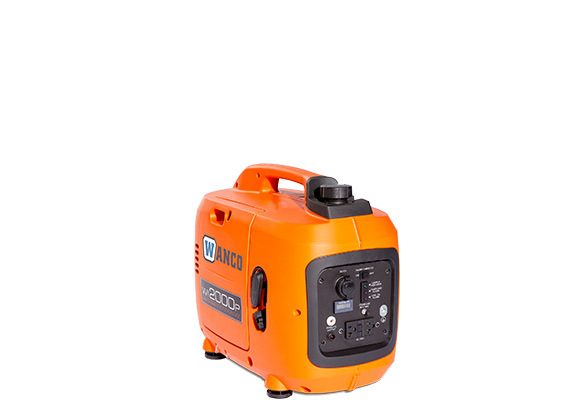 Unlike other portable generators, inverter generators can charge a smartphone or power a television without worry. The secret is digital power control that maintains consistent output, eliminating power spikes and drops. 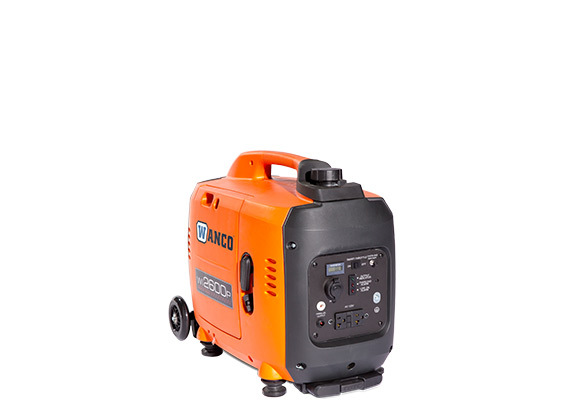 Inverter generators are also very quiet, which makes them perfect for home and recreational use. Choose your inverter generator and learn more by clicking below. 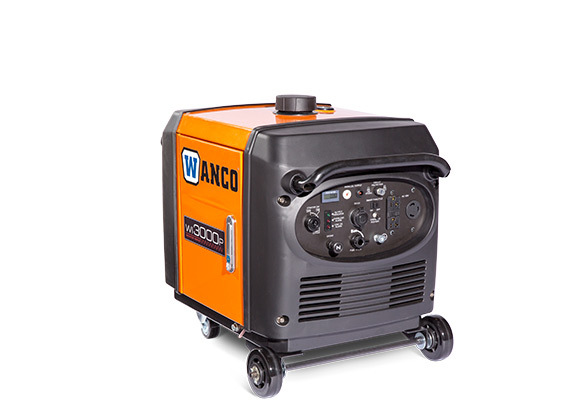 Compact inverter provides 2000 watts output and is parallel ready. Features one 120V 20A GFCI duplex receptacle. Weighs 49 lbs. EPA and CARB compliant. 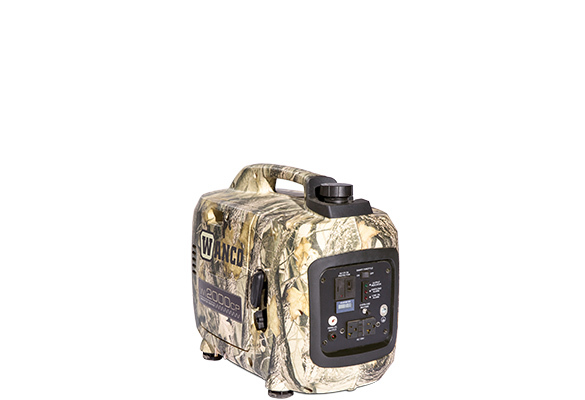 Same as our standard 2000-watt model with camouflage design. Features one 120V 20A GFCI duplex receptacle. Weighs 49 lbs. EPA and CARB compliant. Small inverter provides 2600 watts output and is parallel ready. Features one 120V 20A GFCI duplex receptacle, suitcase handle. Weighs 66 lbs. EPA compliant. 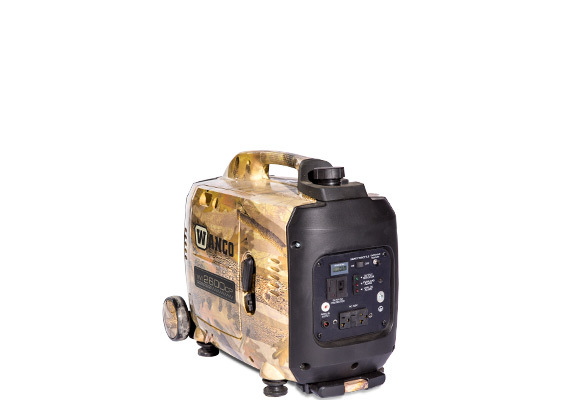 Same as our standard 2600-watt model with camouflage design. Features one 120V 20A GFCI duplex receptacle, suitcase handle. Weighs 66 lbs. EPA compliant. Powerful inverter provides 3000 watts output and is parallel ready. Features one 120V 20A GFCI duplex and one 120V 30A locking receptacle. EPA and CARB. 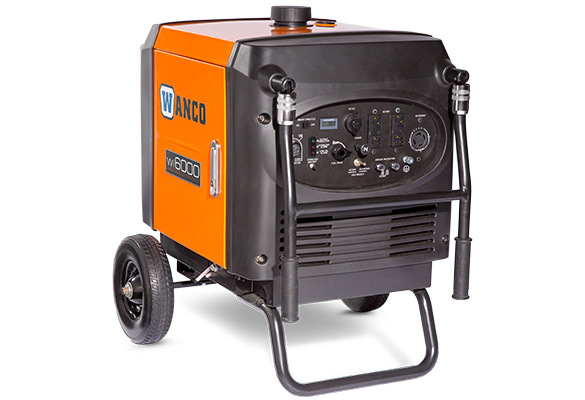 Powerful inverter provides 4300 watts output. Features two 120V 20A GFCI duplex receptacles and one 120/240V 30A locking receptacle. EPA and CARB compliant. Powerful inverter provides 6000 watts output. Features two 120V 20A GFCI duplex receptacles and one 120/240V 30A locking receptacle. EPA and CARB compliant.